A graduate of the Institute of International Relations at the University of Warsaw and the Diplomatic Academy of the Ministry of Foreign Affairs. He worked at the Ministry of Foreign Affairs, then in the Office of the Prime Minister's Plenipotentiary for International Dialogue. In 2013-2015, Director of the International Cooperation Team in the Office of the Polish Commissioner for Human Rights. 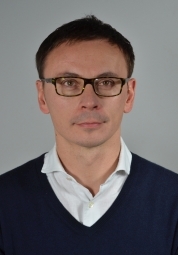 Since November 2015, Deputy Director for International Cooperation at the Warsaw City Hall. Since January 2019, Director General of the Auschwitz-Birkenau Foundation.